Here explains how to use these buttons in detail. 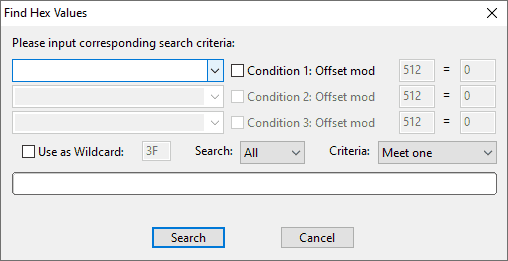 Support selecting conditions: "meet one" or "meet all"
Values in the drop-down box can be saved after the jump, so that they can be selected next time when the drop-down box is opened again. Go to the appointed sector rapidly, as below. 1). Logic (LBA): you need to enter sector or cluster number (which is enabled only when the open method is partition). 2). Physical (CHS): these parameters "cylinder/track", "head/surface", and "sector" are needed. Go to last or next sector and go to fist and final sector. Go to the first or last cursor quickly. 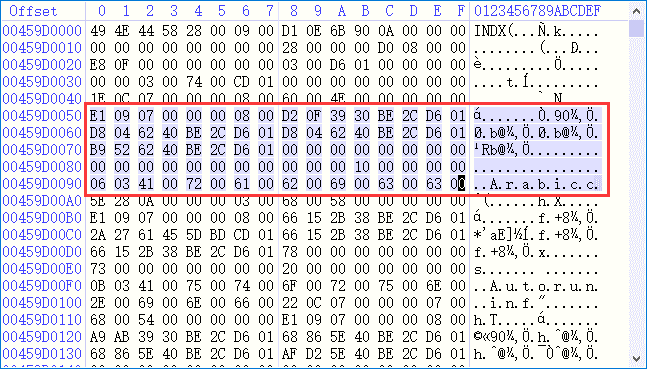 As shown in the picture above, the offset, hex values and further interpretation of the current cursor can be seen on the interpreter of the right interface. 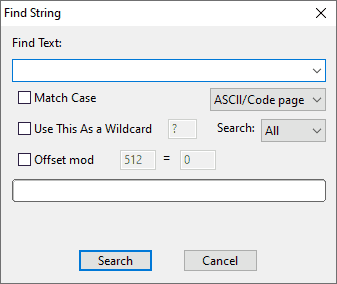 And you can edit the data where the cursor stays either in the text edit area or hex edit area. 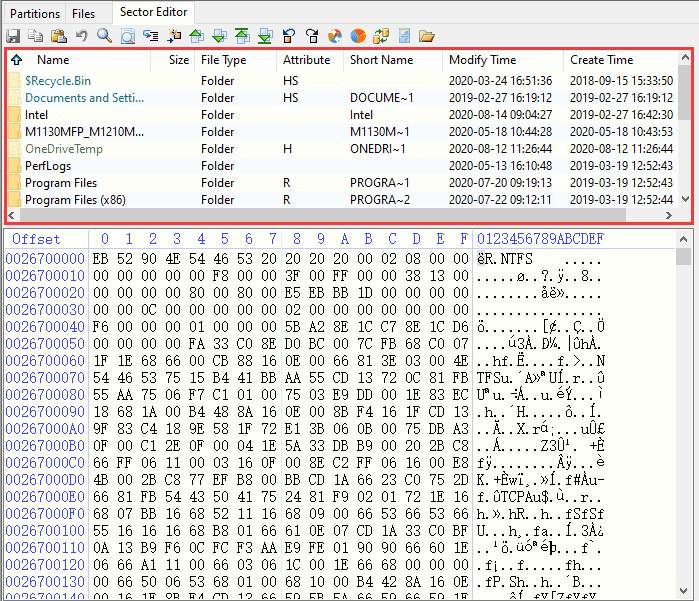 Locate the cursor to set the beginning sector and drag the mouse button to the end of a certain data area, and the selected area turns light blue. 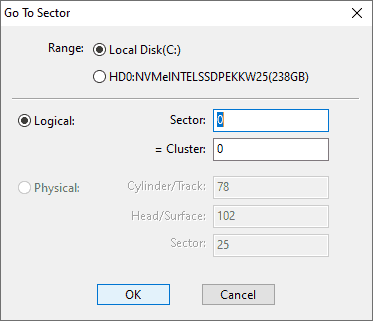 Those operations to sectors don't actually modify data on the hard drive before you click the button "Save", and operations can be canceled after clicking the button "Undo". Warnings: Data will be modified forever after clicking "Save" button, and it can't turn to previous state, so be careful! This function interprets the current sector where cursor stays as partition start. 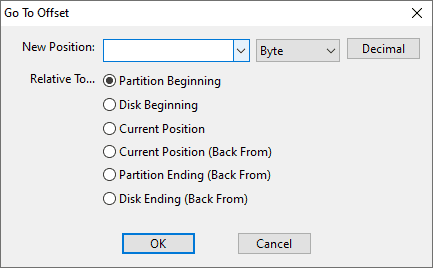 If the sector's data conforms to the data feature of partition beginning, system will identify partition size automatically; otherwise, system will ask you to input partition size. 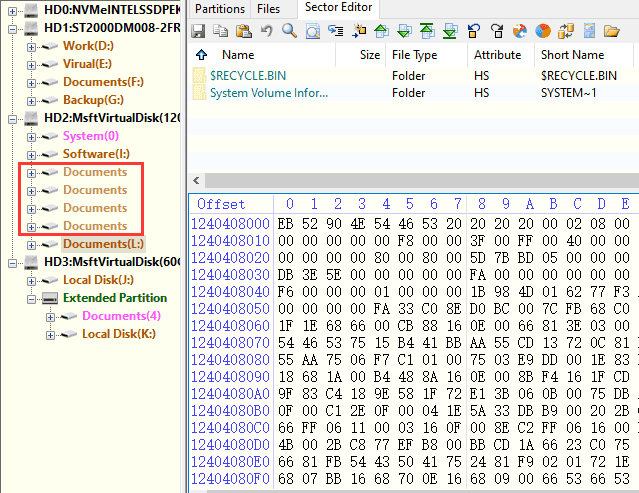 The interpreted partition will be listed on the left interface with lighter color than normal partitions. The endian conversion affects data interpreter which is interpreted as little endian by default. 1). 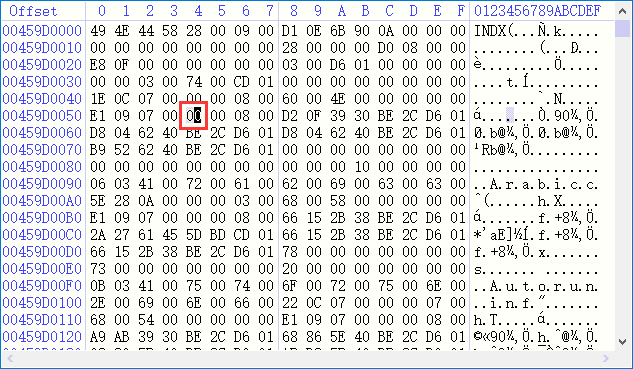 Little-Endian means that the low-order byte of the number is stored in memory at the lowest address, and the high-order byte at the highest address. 2). 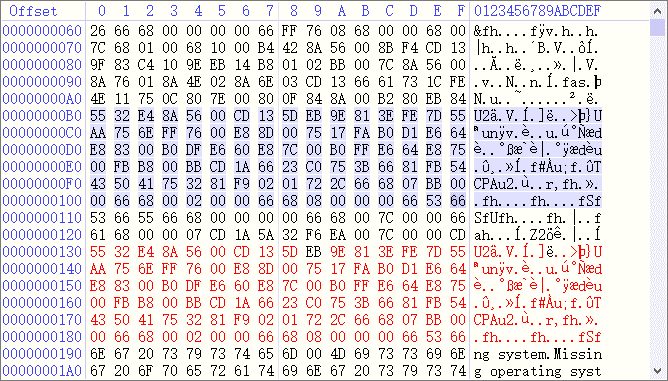 Big-Endian means that the high-order byte of the number is stored in memory at the lowest address, and the low-order byte at the highest address. 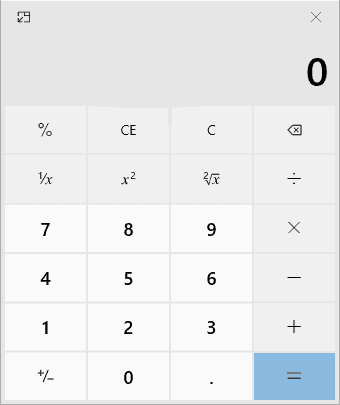 Use calculator to calculate sector quickly. This area shows files and folders of the partition.